Chick-fil-A Lake Dow operates under the ownership of Mark Fleming. He first joined the Chick-fil-A family while working for his dad, Operator Tracy Fleming, when he operated the Peachtree at Collier location (2001 – 2005). Mark knew very quickly that he wanted to become an Operator and set his focus on being a profitable addition to the Chick-fil-A brand. In 2006, Mark was chosen to operate the Chick-fil-A Kroger/McDonough location, where he won Symbol of Success (2008 & 2012) and Champions Club (2011 & 2012). When it came time to choose an Operator for a new location in McDonough, Georgia, Mark stood above the rest and was chosen to be the Operator of Chick-fil-A Lake Dow. During his first qualifying year, Mark won Symbol of Success yet again at his new Lake Dow location (2016). 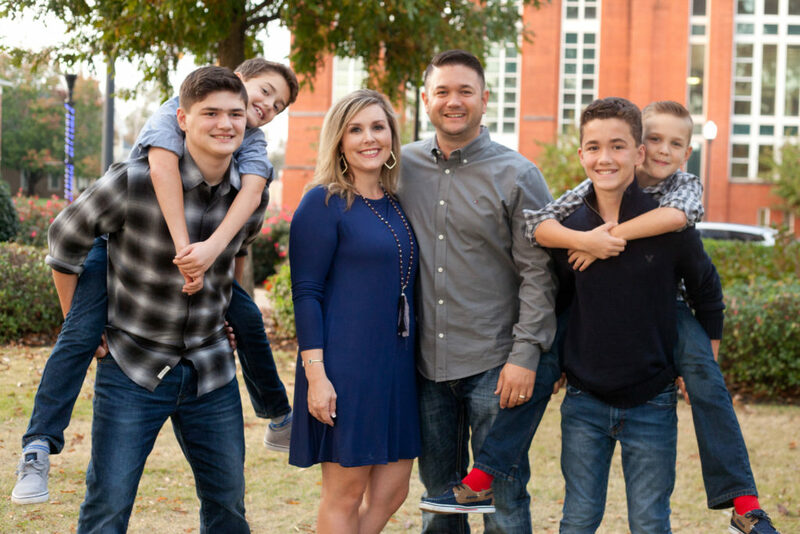 Mark and his wife, Amie have four handsome boys Benjamin, Bryce, Brendon, and Beau.